Wong Kar Wai’s Midnight Express… now a 7-11? Who can forget those cine-magic moments as Faye Wong pranced around the snack stand in Wong Kar Wai’s Chungking Express? Yes, the famous Midnight Express snack stand immortalized in the film has subsequently turned over several times. In its last incarnation it was a watch store. Now its become a 7-11… I guess that’s close to full circle. Speaking of Wong Kar Wai locations, it did come as something of a shock to find California (yes, the bar / restaurant) and the former Midnight Express in the epicenter of Lan Kwai Fong, Hong Kong’s main nightlife area. Such common, easily discoverable locations in a city crowded with charismatic alleys and off-beat snack stands, was a surprise to me. Perhaps the difficulty of location shooting and the threat of extortion during filming necessitated the locale. Here’s Wong Kar Wai talking about Faye Wong’s performance… It includes some deleted scenes shot in Midnight Express as well. This is a short clip of Faye Wong and Tony Leung with California Dreamin’ by The Mamas & the Papas playing away. Here’s yet another video of Faye Wong and Tony Leung Chi Wai at the shop – this one features Wong Faye’s rendition of The Cranberries’ Dreams. Meanwhile, which is the coolest looking 7-11 in Hong Kong? I have one in mind, but please leave a comment with your choice! 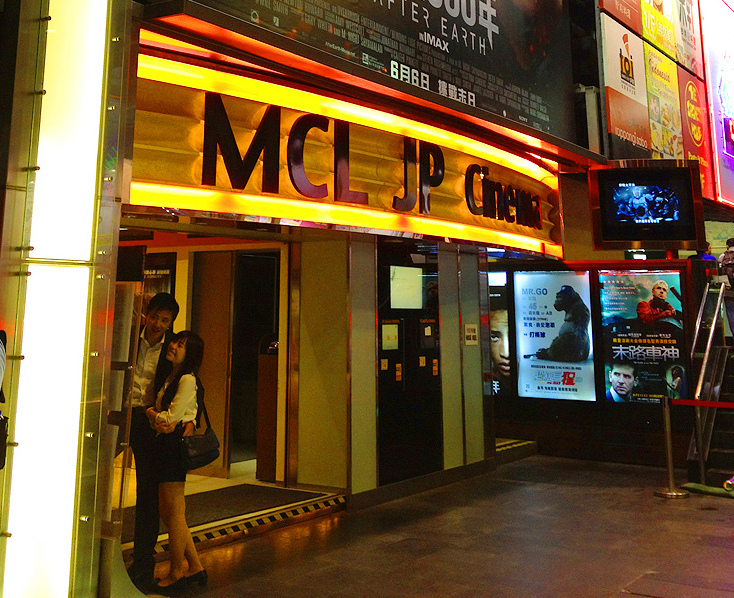 Hong Kong’s Top 5 cinemas! Previous articleD.J. Misty Rabbit gets Volar hopping! Next articleHong Kong in only 1 day! 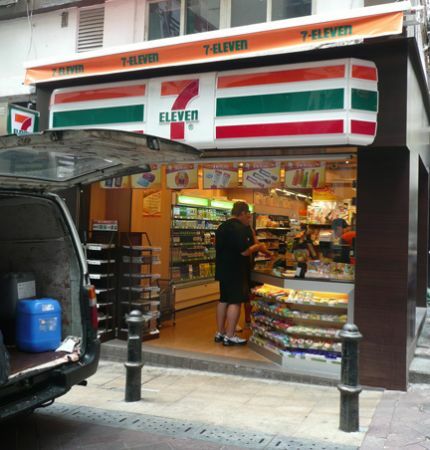 Yes, it’s pretty amazing just how fast they convert an empty store into a 7-11 in Hong Kong. They have special teams that can do the work in literally one or two days! wow one or two days!? thats crazy.